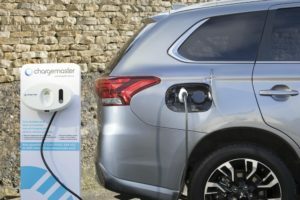 Mitsubishi Motors has announced a series of revisions to the Outlander PHEV Juro, the high specification version of its plug-in hybrid vehicle. Available to order now and priced from £33,499 after the Plug-in Car Grant, the new Juro has an enhanced specification for greater convenience, comfort and safety. Building on the levels of standard equipment in the outgoing Mitsubishi Outlander PHEV Juro, the 2017 version is now equipped with an Electronic Parking Brake with Brake Auto Hold, EV Priority Mode; Smartphone Link Display Audio with Android Auto and Apple CarPlay; DAB and a reversing camera. When the new EV switch is activated, EV Priority Mode allows the driver to operate the vehicle in EV mode without the engine starting, provided there is sufficient charge in the batteries. When turned on, the new Brake Auto Hold function works to hold the vehicle in traffic or on an incline the same way a handbrake would, letting the driver release the footbrake. Connectivity and convenience is enhanced with the addition of the Smartphone Link Display Audio system which supports Apple CarPlay. The driver can use Siri or the Smartphone Link Display Audio’s touch screen to receive directions optimised for traffic conditions, make and receive calls, access text messages, and listen to music, all in a way that allows them to stay focused on the road. Smartphone Link Display Audio also supports the Android Auto which provides voice-controlled operation of Google Maps Google Play music and other apps. Additional features include Bluetooth for hands-free calls and music streaming, AM/FM and DAB radio and the display of specific Outlander PHEV functions. Other highlights of the Juro’s standard specification include cruise control, 18-inch alloy wheels, heated front seats, the Mitsubishi PHEV app, which allows pre-heating of the interior, and dual-zone climate control. The Juro’s upgrades complement the 2017 model year revisions to all Mitsubishi Outlander PHEV variants. 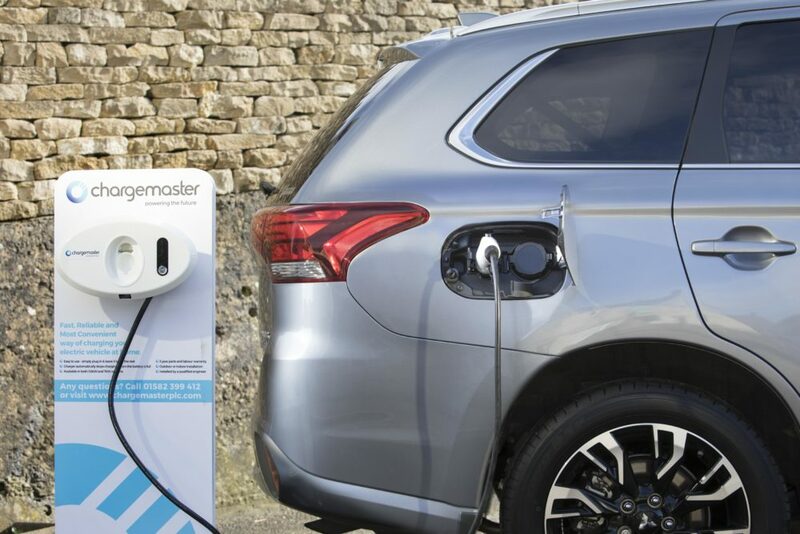 Incorporating improvements to the drivetrain, chassis and on-board technology, the new Outlander PHEV offers an improved pure electric range of 33 miles, CO2 emissions of 41g/km and an average weighted fuel consumption of 166 mpg. Its regenerative braking technology has also been enhanced for 2017 and its rapid charging time to 80 per cent has been reduced to 25 minutes. There is a new colour, Cool Silver colour. Like other Outlander PHEV variants, the Juro is backed by a five year, 62,500-mile warranty. For an additional £500, customers can purchase the Mitsubishi Service Plan, which covers scheduled maintenance for the first three years.